Holden’s announcement that they would retire the SS and SV6 nameplates was sad news indeed for the legions of Australians that hold the Commodore close to their hearts. Thankfully though, there’s a new nameplate in town; the V6 VXR. But with the V8 making up over half of all Commodore sales, it has some big boots to fill. When Holden decided to end production of cars in Australia last October, the new European-made Commodore was always going to be up against it from the off. Diehard Holden fans have an understandable bias towards the homegrown cars they grew up with, and so even the smallest issue with the imported versions is magnified tenfold. But before you write it off let’s give the car based on the European Opel Insignia a chance and take a look at what’s on offer. While Holden has yet to announce the nameplates (aside from the VXR) for the 2018 Commodore range, they have given us a little teaser on what engines we can expect. The VXR will have a naturally-aspirated 3.6L V6 giving you 380Nm of torque. Now while that sounds marvelously powerful, it pales in comparison with the current SS V8’s 570Nm of torque. Entry level Commodores will have a 190kW 2L turbo-petrol engine that produces 350Nm of torque. Regardless of the seeming lack of power in this base model, Holden expects it to run 0-100km/h in the low 7-second bracket making it faster than current 3L V6 Evoke. Not bad for an entry level car. The new nine-speed automatic transmission is supposed to blow its predecessors to shreds with smooth gear changes and engine revs constantly at optimal levels. The news is that you can pick up either FWD or AWD but there’s no clear indication of which model these options will be available in. One thing for sure though, no more RWD burnouts. Well, it’s hard to say what colours Holden will have out, but in terms of design, there’s a distinct Opel feel to the new Commodore. There’s also word that you’re definitely only going to be able to choose between a liftback (large hatch) and a wagon. It’s a strange move by Holden, but one that has ‘European ownership’ etched all over it. The Commodore sedan is an icon of Australian motoring (probably even more so than the Toyota HiLux) and to be perfectly honest; Holden isn't doing itself any favours by discontinuing it. It’s something that’s going to take a lot of getting used to. That said, it’s about the only fault we can see with the new Commodore so far. Although the new imported model will be a tad narrower than the Australian-made version, Holden has said that passenger comfort will not be compromised. 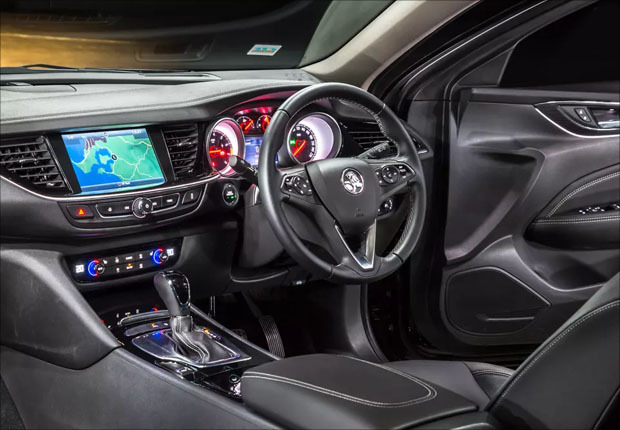 They seem true to their word as a look at the interior of the new Holden flagship shows quite a comfy cabin. The new liftback design means that you’ve got much easier access to the boot space and the option of folding down the seats for carrying big loads, but it does mean that tall people in the back might feel a little cramped. The driver console gets a bit of an upgrade (as they always do) and looks very flashy. There’s a new eight-inch screen in between the speedo and the tachometer.This is your instrument display panel, and it’s gloriously Hi-Def and customizable. You also get a good size touchscreen in the centre of the dash for controlling media and SatNav and for using the 360-degree camera. Again we’re not sure which nameplates will come with these as standard or as extras. The current Commodore is a pretty safe car, but for the new imported version, they’ve upped the standard a bit. Yes, the Australian-made Commodore has a boatload of accessories to choose from, and while the imported version will be a slightly different car, we fully expect Holden to roll out the same list for next year’s car. The warranty will remain the standard Holden 3 year/100,000km with all genuine parts and accessories also covered. You also have the security of Holden’s lifetime capped price servicing which is something every manufacturer should provide. However, if you pick up one of the last Australian-made Commodores you’ll get yourself a nice 7-year/175,000km warranty. That’s a pretty big incentive to pick one up but it’s only a temporary offer so you’ll want to get your skates on. Now here’s the thing; we don’t know. 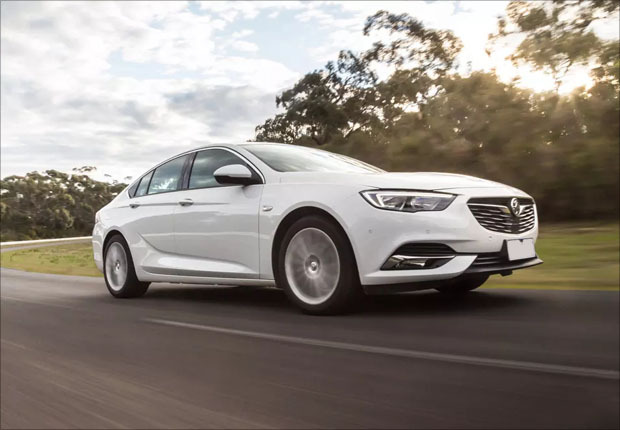 Holden hasn't released any prices yet that are set in stone, but if we were to hazard a guess, we’d say that the entry level Commodore will start at anywhere between $30,000 - $35,000. It might not be 2018 just yet but the end of the year is fast approaching, so if you have plans to invest in a new Commodore (or even an older 2017 model with that 7-year warranty) then it might be time to start looking at some finance packages. No time to do it yourself? Then get in touch with Stratton, and we’ll get on the phone and find you the perfect financing option to suit your needs. Is your car loan expensive?